Judges is a book that is rarely taught on in any church. This is a tragedy because it is a book for our times. What is impressive about this book is the theme. 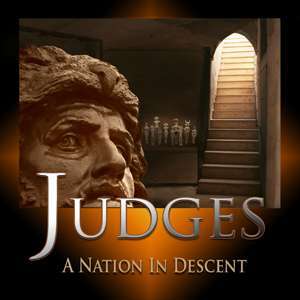 The last verse in Judges: “In those days there was no king in Israel; every man did that which was right in his own eyes.” Judges was in many ways the dark ages of Israel’s history: they rejected the authority of God, they rejected the authority of Scripture, and in its place they substituted their own authority. In other words, instead of looking to God and His Word for absolutes and structuring all their thought under that umbrella they looked to the community, to one another, to themselves as the source of absolute right and wrong. So there was a culture that was drenched in moral relativism. It shouldn’t take too long to figure out what the application is and how it relates to our culture in the twentieth century today. We will see a number of themes that are developed and we are going to see the pathology of an apostate, anti-God, relativistic culture and how it affects everything: how it changes worship practices, how it affects the role of men and women in a society in contrast to God’s plan for the role of men and women, and how degraded a culture can become when they are paganized.